Hi everyone. My name is Yolonda and I am glad to be this weeks guest designer on Tuesday Treats. My name on the message board is Crafty Scentiments. I wanted to make a video of my project, however, after I came back from my vacation I had a bad cold and I literally have had no voice. What little voice I do have sounds terrible, so I thought I would spare you. This is the first project that I made using this cartridge and it turned out really nice. So nice in fact that I have taken this idea even further and designed some other pieces of jewelry using other cartridges. 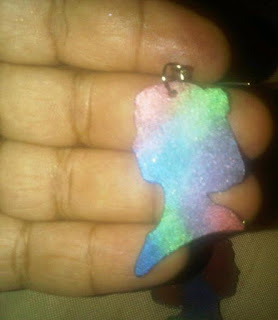 I will be posting them on my personal blog (http://craftyscentiments.blogspot.com) later this week. For today's project I designed a very simple pair of earrings. Here is a list of my supplies. Although the Gypsy is not really needed for this project, it makes designing projects so much easier. You can really see just how big an image will be. I started by cutting the silhouette at 1.5 inches. I cut 2 layers for each earring. One set I cut in the original orientation, and the other set I reversed the image to cut them out. I used black cardstock for this project so the colors of the Perfect Pearls would really stand out. 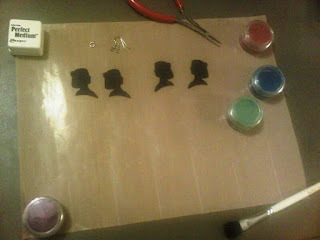 Using Scotch Quick Dry Adhesive, I glued the layers of the silhouette together. I used the Martha Stewart punch to punch a hole at the top of the piece. 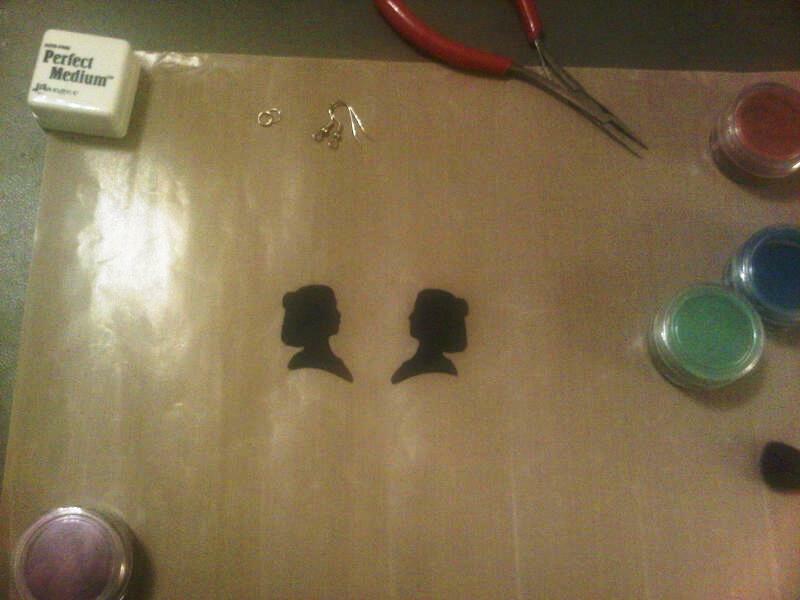 Before adding the jump rings and ear wires, I colored the pieces. 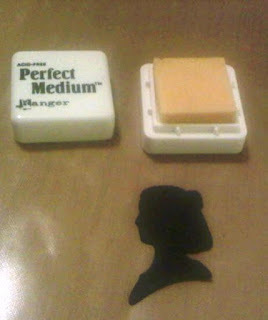 The Perfect Medium that comes in the kit is like an embossing ink. I stamped the entire piece to cover with it with the thick substance. The powders come in a variety of colors. The powders are very fine and a little goes a long way. 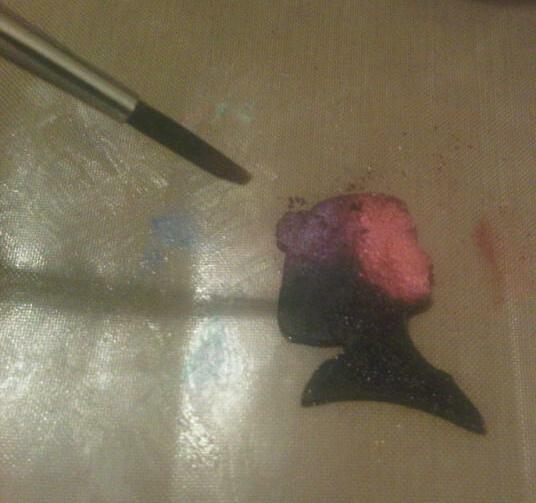 I dusted the entire piece randomly with the Perfect Pearls Powders making sure to clean the brush between colors. To set the powder, you need to lightly mist it. I used the Mini Mister by Ranger to spray a fine mist in the air. Then you sweep the piece across the mist of water. You really need very little water and by sweeping across the mist that is in the air, you won't use too much water. I then attached the silhouette to the ear wire by using a jump ring. And here is the finished piece. They are very lightweight and really fun to wear. That's my project. Thanks for taking the time to view it and I hope you enjoyed it. Be sure to leave me a comment. I would love to hear what you think. Wow, this is so unique! What a wonderful project and your tutorial is great making it easy for us to follow. Thanks for sharing your talent with us today. What a great project. I love it. And thanks for explaining about the perfect pearls. I never knew what the medium was for and always wondered. I may have to get some and try them out. Thanks. Lovely project and perfect pearls is one of my favorite mediums .I bet I would look pretty with this hanging from my ears. I never knew what to do with Perfect pearls! THANKS! These were pretty when they were just black cardstock, but then you added the colors and WOW they are Gorgeous!!! Thanks for the wonderful comments. I'm having a ball playing with the perfect pearls and distressed inks. love the charms. tx for sharing. now talk about thinking outside of the box!! BRAVO!! (insert picture of me clapping here).